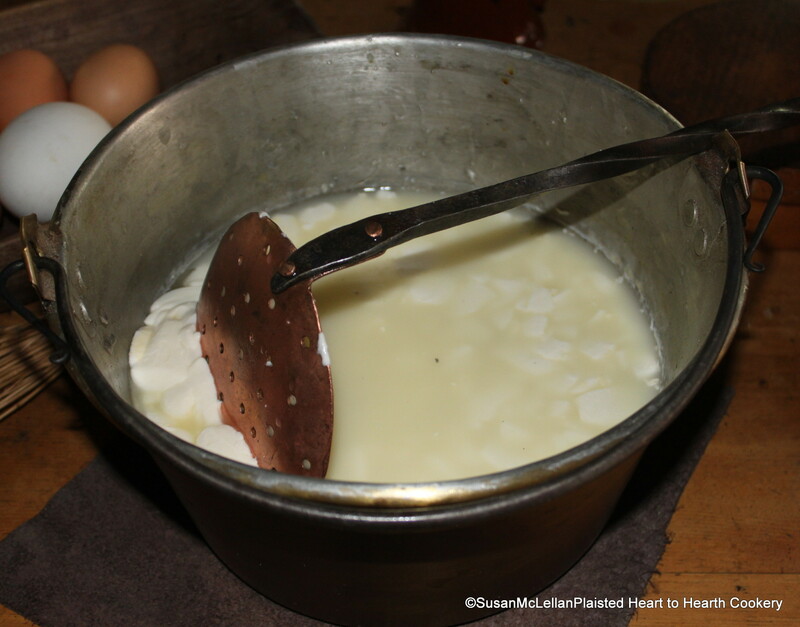 The receipt (recipe) for To make a made dish of Curds starts with the words: Take some tender curd. The first step is to heat milk until it is blood warm and add rennet from the stomach of a calf. The tender curd is being cut and the liquid is the whey.